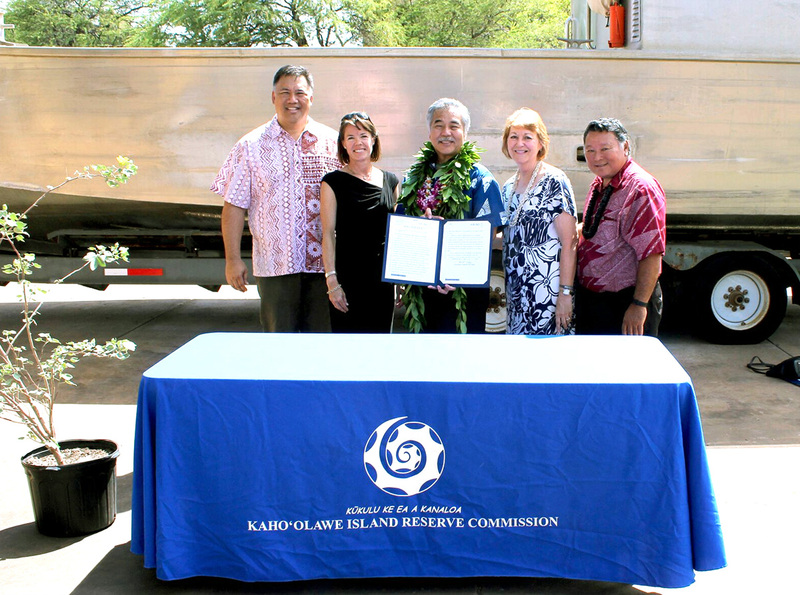 On Friday, June 17, 2016, Hawaiʻi State Governor David Ige signed a bill appropriating funds to the Kahoʻolawe Island Reserve Commission (KIRC) for restoration and preservation projects on Kahoʻolawe – the first ever direct appropriation of general funds to the agency since it was established by the State in 1993. This support of Kaho’olawe promises unprecedented preservation and recovery opportunities for Hawaiian wildlife species which help sustain traditional Native Hawaiian cultural practices. Currently, invasive species are destroying the island’s native plant and animal populations and preventing access to Native Hawaiian cultural practices within the Kahoʻolawe Island Reserve. Through a joint effort led by restoration partners KIRC and Island Conservation, a new plan to provide a permanent home for many of Hawaiʻi’s threatened species and to re-establish links between nature and traditional Hawaiian customs is being developed. 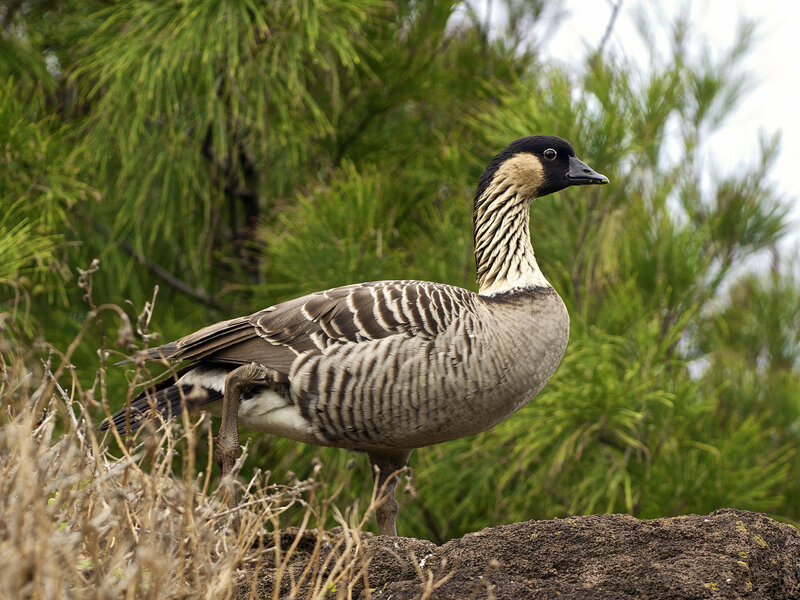 As a state-mandated reserve that sees far less human disturbance, development, and light pollution than the other main Hawaiian Islands, conservation biologists rank Kahoʻolawe as a top site for reintroduction and restoration of rare birds such as the Laysan Duck, Nēnē (Hawaiian Goose), Laysan Finch, and Nihoa Finch. Fortunately, the island’s damaging invasive predators are restricted to introduced rats and feral cats, (fewer than found elsewhere in Hawaiʻi, like mongoose and wild boar). Future reintroduction efforts depend on an island free of introduced predators. The Hawaiian archipelago accounts for only two-tenths of one percent of the United States’ land area but it is home to nearly 75 percent of recorded extinctions in the US. Invasive species are the leading cause of these extinctions. Kahoʻolawe presents an incredible opportunity to save Hawaiian plants, animals, and cultural connections that could otherwise be lost forever. The only way we can accomplish this is through the removal of invasive species. 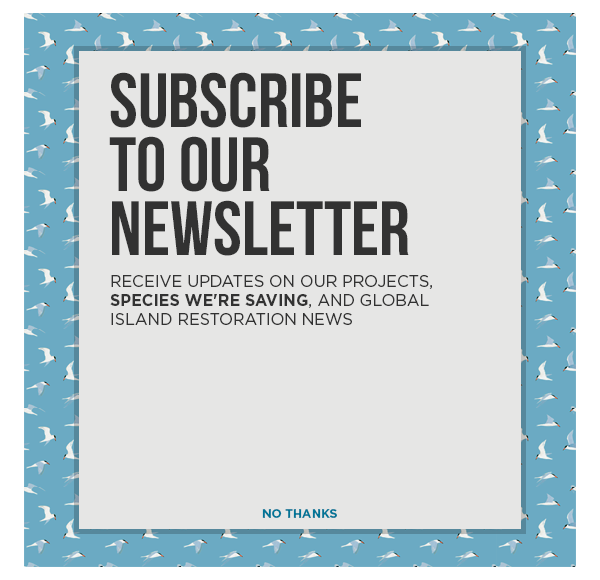 Download the Kaho’olawe Island Seabird Restoration Project: A Business Plan for the Restoration of Hawaiian Birdlife & Native Ecosystems. This unprecedented restoration vision is matched by a unique conservation partnership being developed for a healthy and restored Kahoʻolawe. Investment by the State exhibits public support of our work to restore, protect, and preserve this important cultural reserve. Together, our local, state, and national coalition have the capacity to advance a predator-free Kaho’olawe Island Reserve for the benefit of recovering native Hawaiian species and to aid in the revitalization of Hawaiian cultural practices. Restoring seabirds and other native wildlife populations will significantly advance opportunities for participation in, and awareness of, traditional Native Hawaiian cultural practices. For example, observations of the flight paths and behaviors of certain seabirds may be used to predict weather, to reveal schools of fish, and to locate islands when navigating. Seabirds are an historic source of food and feathers for kahili (feather standards), ‘ahu ‘ula (feather capes), and lei. Many Hawaiian expressions and legends reference seabirds. Kaho’olawe represents an important opportunity to provide climate change adaptation strategies for threatened species. 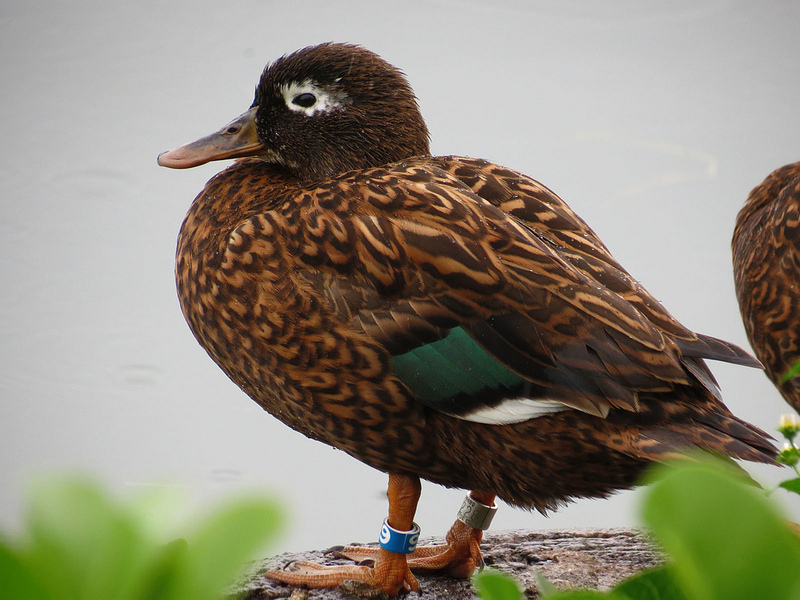 Fossil records provide evidence that the Critically Endangered Laysan Duck once inhabited Kaho’olawe Island; however, today the duck is restricted to the low-elevation islands of Laysan and Midway in the northwest Hawaiian Islands, and it is at risk from projected sea-level rise. 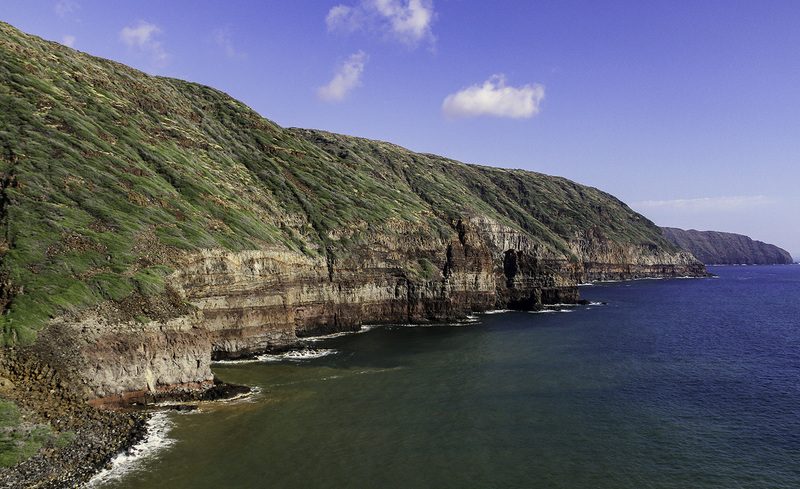 Once Kaho’olawe is free of invasive predators, the Laysan Duck, and other threatened species like Nihoa Millerbirds, could be translocated to this high-elevation island. Through significant partnerships like these, the KIRC can realize its vision of Kaho’olawe as a pu’uhonua and wahi pana (a place of refuge, a sacred place) where native Hawaiian species can thrive, Hawaiian cultural practices can be revived and future generations of Hawaiian leaders can develop. Project partners are hopeful that this vision will continue to attract attention and increased support and funding. If you would like to get involved, email administrator@kirc.hawaii.gov. Administratively attached to the state Department of Land and Natural Resources, the Kaho‘olawe Island Reserve Commission (KIRC) was established by the Hawai‘i State Legislature in 1993 to manage the Kaho‘olawe Island Reserve while it is held in trust for a future Native Hawaiian sovereign entity. 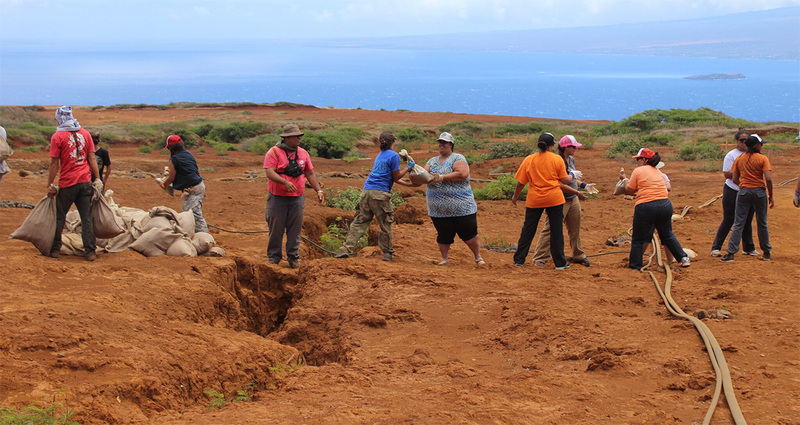 Its mission is to implement the vision for Kaho‘olawe Island in which the kino (body) of Kaho‘olawe is restored and nā poʻe o Hawaiʻi (the people of Hawaiʻi) care for the land. The Commission has pledged to provide for the meaningful and safe use of Kaho‘olawe for the purpose of the traditional and cultural practices of the native Hawaiian people and to undertake the restoration of the island and its waters. The organization is managed by a seven-member Commission and a committed staff. For more information, call (808) 243.5020 or visit www.kahoolawe.hawaii.gov. The National Fish and Wildlife Foundation (NFWF) protects and restores our nation’s wildlife and habitats. Chartered by Congress in 1984, NFWF directs public conservation dollars to the most pressing environmental needs and matches those investments with private contributions. NFWF works with government, nonprofit and corporate partners to find solutions for the most complex conservation challenges. Over the last three decades, NFWF has funded more than 4,500 organizations and committed more than $3.5 billion to conservation projects. Learn more at www.nfwf.org.